Lift voices in praise with Korean translations of Father Fabing's most beloved songs. The music of Bob Fabing, SJ has helped enrich worship in parishes around the world. As a follow up to Rise, My Friend, this collection gives Korean-speaking Catholics another 14 of Father Fabing's most beloved songs to celebrate the liturgy. 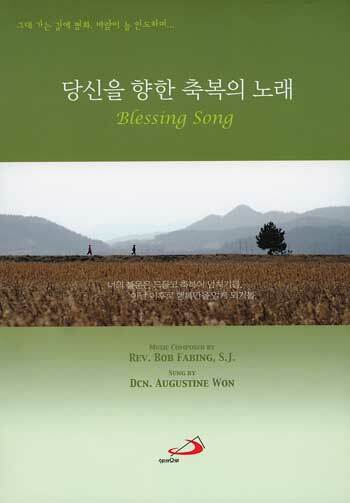 Recorded in Seoul, Korea and Los Angeles, California, Blessing Song combines lively and contemporary arrangements with the vocals and Korean translations of Deacon Augustine Won. From "Blessing Prayer" and "Come, Holy Spirit" to "Only Your Love" and "Shadow of Your Wings," the guitar songbook features guitar chords and melody lines to help you share these songs with your community. Inspired by his daily human experiences—the people he meets, the wonders of nature he encounters and the questions life presents to him—Bob Fabing, SJ offers a beautiful book of poetry to help Catholics seek a deeper life of prayer and reflect on the gifts received each day from God the Giver. The very nature of poetry is to create a shared emotional experience between the reader and author. Accessible and straightforward, each of the 76 poems found in With Roses for All invites us to heighten our sensitivity to the moments in which God reveals himself to us.